This review is about item#75140204. This review is about item#75140116. Dimension display is not good. Let's check well. We used it for axle bearing of mini car in competition event. 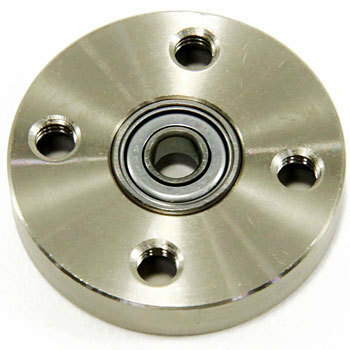 It is very easy to mount with a threaded structure, making it very smooth rotation. Thanks to that, I won the competition event with a mini car equipped with this bearing. It is a type of attaching the bearing end face directly to the equipment, so it is used for a wire winder of wet rain, but it seems to be easy to exchange even if rusted. This review is about item#75140134. Since the plastic bush deteriorated, it changed to a bearing and it reached very lightly. This review is about item#75140222. I will try to find out that there are no particular problems with the product, but I hope the price will be easier. This review is about item#75140161.